It is well known that calf size is based on genetics, whilst this is true, it doesn’t mean you can’t add mass and define shape! We are going to correct some simple mistakes and help you achieve the calves you need. 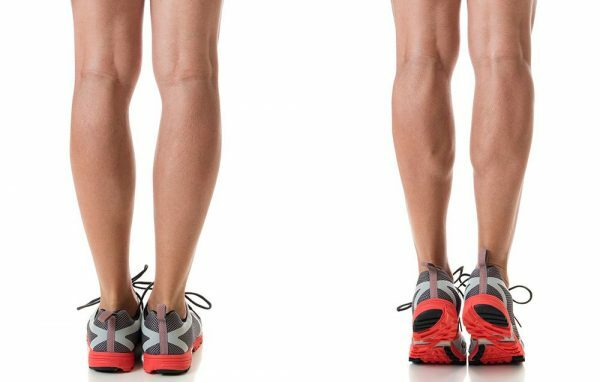 Very few muscle groups are as stubborn to develop as your calves, and a constant lack of progress might compel you to stop training your lower legs entirely. However, before you give up completely, you should know that your calf trouble could be the result of some easily fixed training mistakes. Every athlete wants a set of nicely developed calves to proportionate the legs. If you are one of the individuals that have been blessed with great lower leg genetics than heed the following mistake prevention tips closely for optimal calves. Calves are often neglected or saved for the last part of a leg workout, this is when you’re tired and lack energy. Muscles can’t grow if they receive sub-par training, you must start training them the way you train your back or chest: fresh, from every angle, and to complete exhaustion. Start your leg training with calves, train them with the same intensity as you do your quads and hamstrings. If you’re trying to hit your upper legs hard and don’t have the energy to do the same with calves, add an extra calf day into your split or add the work to a different workout. The point is to ensure that your calves don’t suffer from lack of attention.